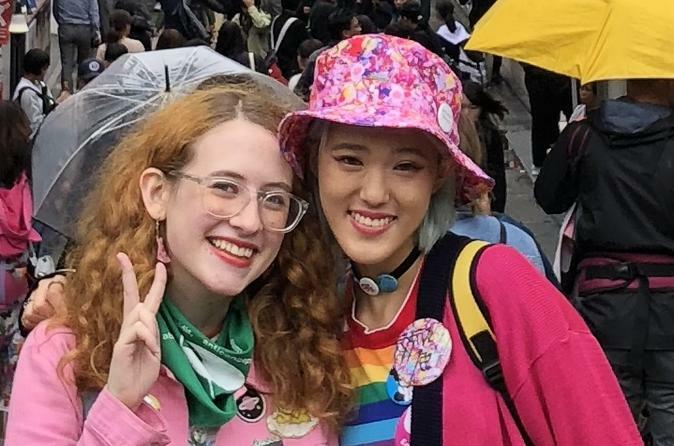 With this tour you will be guided around the famous fashion district of Harajuku with a famous Japanese instagrammer, Rikarin. She will be able to help you go to places that match your needs to avoid walking aimlessly around the busy street. You will be able conquer the ultimate teenage culture and fashion district of Harajuku with this tour! Explore Harajuku with a Fashion Instagrammer! This program is conducted by a Japanese Harajuku girl, and a fashion instagrammer, Rikarin. As you walk through Harajuku area with her, she can choose the shops matching your request and makes it easier for you to navigate the busy street of Harajuku. You will enjoy Harajuku much more than exploring on your own. Harajuku is the center of Japan’s most ultimate teenage cultures and fashion styles. Takeshita Dori(Takeshita Street) and its side streets are lined by many trendy shops, used clothes stores, fashion boutiques and interesting cafes. This tour starts at Harajuku Station and the group will walk through Takeshita Street to Meiji Street with Rikarin. She can show you the shops which matches your request and introduce new shops in Harajuku. Do not worry even if you don't have specific places you would like to go. You will have fun exploring Harajuku with Rikarin. The tour ends at 5 pm and you are free to go anywhere. You can continue exploring Harajuku and go to the places where you couldn't go during the tour.